Chinese Internet giant Tencent has rolled out an iOS update to its mobile messaging app Weixin (users outside of China get a version of the app known as WeChat), incorporating payment services, a game center and a sticker store, as the company seeks to add other services in a bid to monetize the free app. 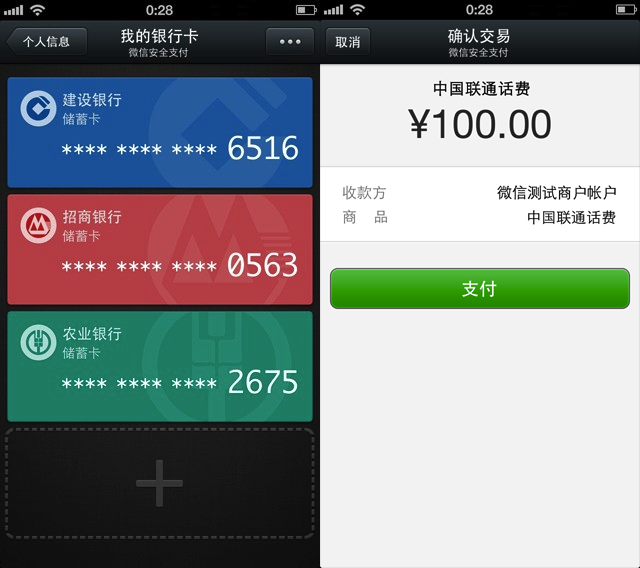 Mobile payments are now available within Weixin for Chinese users (hat-tip Tech in Asia). Though there are no specific details on the app page, a Techweb report says all users have to do is link an online banking account to Weixin to pay for items, though it will really only kick off once merchants start working to accept the Weixin payment method. In June, a report by newspaper China Daily noted that merchants could set up corporate accounts where people could follow them and WeChat would be handling “technical integration and support for these vendors, including page design and payment linkups.” One of the merchants in the testing stage was said to have included fast-food chain McDonald’s. Other than mobile payments, Weixin also gets a game center, which comes as Tencent released its first iOS game on Weixin over the weekend, called Tian Tian Ai Xiao Chu. The existence of the game center shows more games will come in the near future. We previously reported that Tencent was already starting to roll out a test beta version of a game called LinkLink from its mobile gaming open platform, and there were 10 more games in the pipeline — making a total of 11 games. Weixin gets those two additional features, but both the latest versions of Weixin and WeChat include a sticker store — which basically aggregates all of its stickers into a centralized store for users to browse through, and paves the way to purchases of more “premium” stickers. It also allows users to save content clippings from chats or Moments, as it becomes more like a social network. The update has not been rolled out for Android users on Google Play yet, though that is likely to come soon. 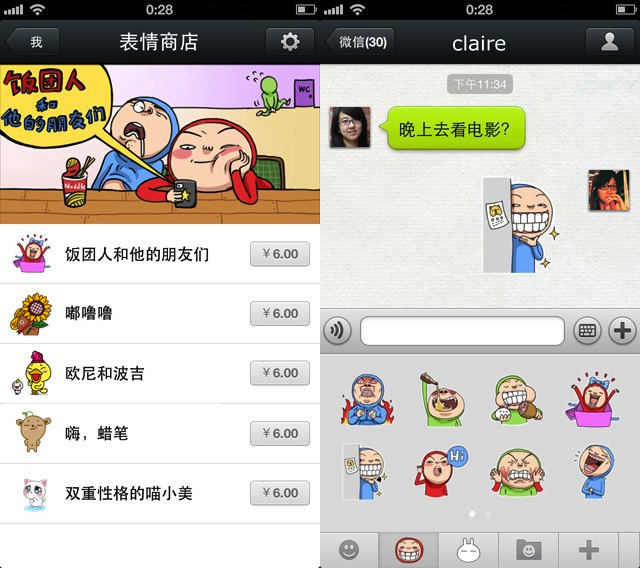 Tencent has been seeking ways to monetize WeChat without compromising user experience. Late last year, it was already revealed that Tenpay would be integrated into WeChat, though it wasn’t explained how the two services would work together. There have also been plenty of rumors about its move into games, and now the company has finally delivered. It is an opportune time to do so. WeChat’s competitors include Kakao Talk from Korea (which recently passed 100 million users) and Line from Japan, which has a registered user base of more than 150 million. Most of its Asian competitors have added on monetization services such as selling stickers and games on their platforms, and WeChat should do well to adopt the same approach — considering that last month Tencent announced that WeChat has chalked up 70 million overseas users — from a user base approaching over 400 million with 195 million monthly active users. Last month, Kakao Talk revealed that titles on its games platform generated 348 billion Won ($311 million) in revenue during the first half of 2013, up an impressive 194 percent from the final quarter of 2012. Line raised eyebrows in May when it revealed that it made $17 million from selling stickers during the first quarter of 2013. All these examples prove that WeChat could well be on its way to driving revenue for its parent company — and the update today marks the start of this journey.